Holds 2 x Large format CD players: Pioneer CDJ1000, CDJ800, Denon DN-S5000, DN-S3500, DN-S3700, Stanton C303, 304, 314 and Technics SLDZ1200 + 10� Mixer with Low Profile Wheels & Laptop Shelf to hold up to a 15" laptop. 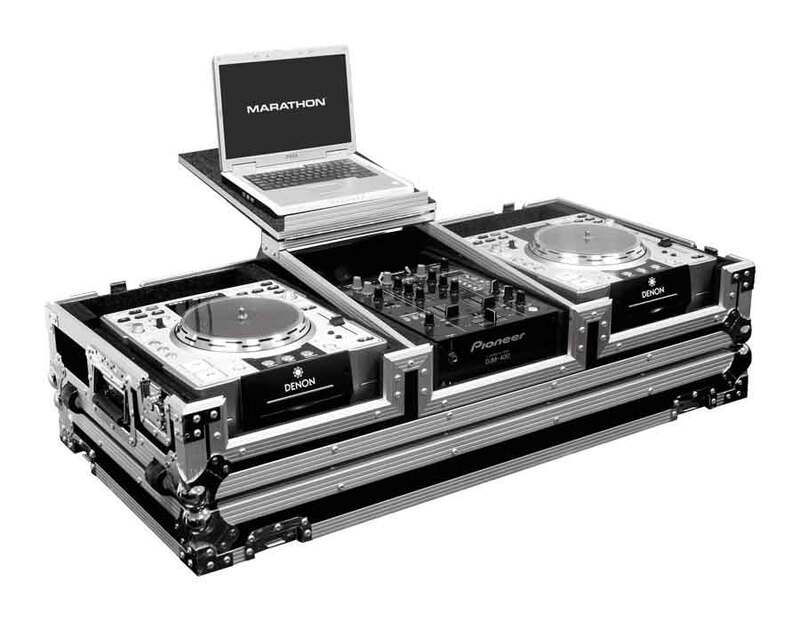 Holds 10" mixer such as Pioneer DJM-400, Rane TTM-56, TTM-57SL, Numark DXM Models, Denon DN-X120, DN-X100. Laptop Coffin Cases feature our patent pending design laptop shelf, mounted above the mixer area. These ATA feature a spacious carpet lined non-slip laptop shelf with a safety edged front lip to keep your laptop in place and in full view available for 10", 12", 19" mixers and CD player configurations. 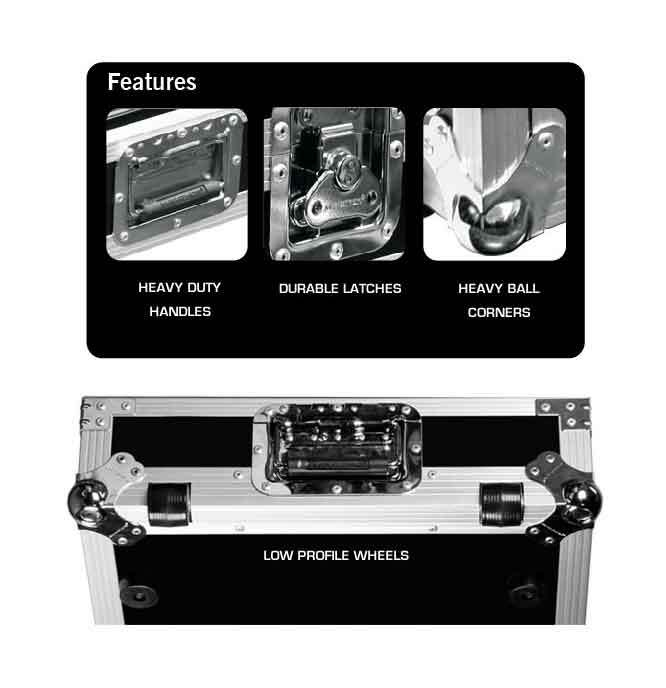 Stackable top lid and premium latches, hardware, trim and finishes to Marathon standards.